Don’t we all want to keep our wallet fat and waistline slim by keeping healthy snacks nearby? Before you fall victim to your next snack attack, beat the yearning for fattening snacks and embrace healthy and tasty snacks like never before. Folks, stop skipping meals and reach for the ultimate slimming snacks to satisfy your mid-morning or evening cravings. Keep hunger at bay, make the fab recipes given below your go-to snacks to fill you up this year and say hello to a new, radiant, fitter you. 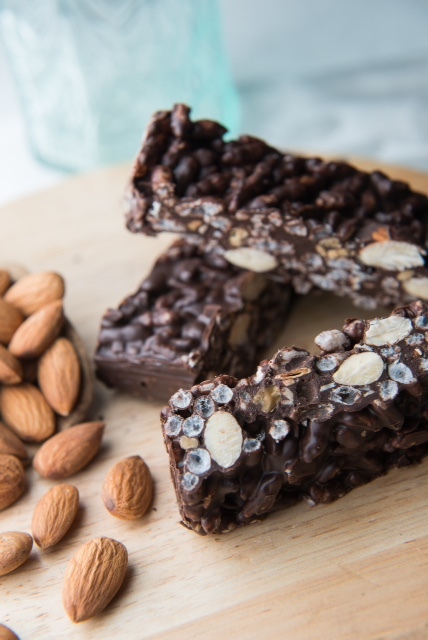 Here are some slimming snacks but definitely not lacking in taste, recipes from Almond Board of California. Place the curry leaves in a microwave and dry them completely on low heat. Crush them in a bowl and add salt, sugar, red chilli powder. Mix well.Add the egg white to the almonds, mix well. The egg white should be just enough to coat the almonds lightly. Now sprinkle the masala and mix well. Spread the almonds on a roasting tray. In a pre-heated oven cook the almonds for 10 minutes at 120c. Remove and allow to cool completely. Keep in an air tight jar. 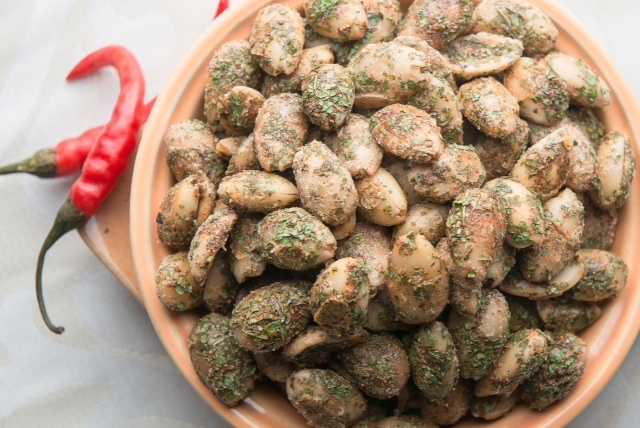 Roast almonds in a pre-heated oven at 100o for 8-10 minutes. While the almonds are hot, add olive oil and sprinkle with anardanachuran. Toss it to evenly dress the almonds with churan. Temper the chocolate, mix in all the ingredients, put in a rectangle mould and allow it to set.Cut in bars and serve. Tip: Do not store this in a fridge as it might get soggy and rice crispy could be substituted with granola, wheat flakes, al bran to make a perfect breakfast or a mid meal snack.